Alcoa announced on Monday the appointment of three industry executives to its Board of Directors – Ulrich “Rick” Schmidt, John C. Plant and Sean O. Mahoney, all of which are industry veterans with extensive and valuable experience in the aerospace and automotive industries. The company said that the new appointees will further strengthen the company as it prepares to separate into two independent companies in the second half of 2016. Mr Schmidt is a former Executive Vice President and Chief Financial Officer of Spirit Aerosystems Holdings; Mr Plant was president and Chief Executive Officer of TRW Automotive and Mr Mahoney is a private investor that currently serves on the Boards of Delphi Automotive, Cooper-Standard Holdings and Formula One Holdings. “We are pleased to welcome Rick, John, and Sean to the Alcoa Board,” said Klaus Kleinfeld, Chairman and Chief Executive Officer. Dave Miller, Senior Portfolio Manager at Elliott Management said that Alcoa is on the right track and is taking the right steps as it moves forward with its separation. 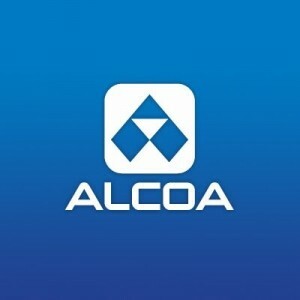 “This is a pivotal moment for Alcoa and represents an opportunity to create substantial value for shareholders. We are pleased to have worked constructively with Alcoa and believe that Rick, John and Sean bring relevant experience to the Alcoa Board and the future Value-Add Co,” added Mr Miller. The decision for the separation was revealed about four months ago, when Alcoa said that it will split its global operations into two independent companies – one focused on specialist manufacturing operations, the other on mining operations.